So Mom came home from an afternoon shopping trip a few months ago and dropped a small box into my lap. “I want you to wear this every day,” she said to me. The box contained a small rubber bracelet with two holographic circles. 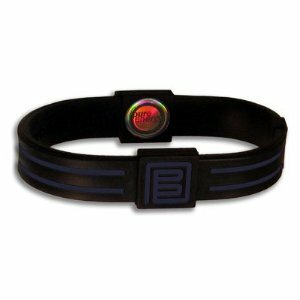 The package read Pure Energy Band for Pain, Inflammation, and Circulation. “Did you really spend money on this?” I asked, completely skeptical. Don’t get me wrong, I totally support alternative healing. Still, I found it hard to believe that a piece of rubber could provide the results that the box claimed. Mom paid $20 for the bracelet, though a quick Google search showed me that these little things can cost as much as $50. Crazy, I thought. I put the bracelet on anyway, since I was in the middle of a flare and desperate for some relief. I’ve worn this thing religiously every day for 6 months now and haven’t taken it off for more than 5 minutes at a time (since the band is rubber, you can shower with it). I’m not really sure the bracelet is as effective as the claims make it out to be. For one, I can say with 100% certainty that you’re still going to flare and feel pain. However, my flares are not as frequent anymore. But even then, I’m not going to attribute that to the bracelet because there are too many other treatments that I have to factor in to how I’m feeling. Bottom line: Purchase at your own risk. If you’re looking for something to stop your arthritic pain completely, this isn’t it. Save your money. And like I said, I can’t guarantee that the changes I’m feeling have anything to do with the bracelet. Personally, I would never spend my money on one. …Me! I was nominated a couple of months ago, but never really got around to writing this post. I was nominated by The Nail and Makeup Whisperer and honestly, this is one of the coolest things anyone in the blogging world could give me lol. It’s nice just to get some recognition, and to know that people are reading my blog. 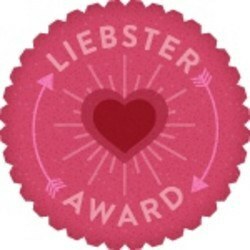 1) Post eleven facts about yourself 2) Answer the questions the tagger has set for you and create eleven questions for people you’ve nominated 3) Choose eleven people to give this award to (with fewer than 200 followers) and link them in your post 4) Go to their page and tell them 5) Remember, no tag backs! I own my own custom jewelry business. I’m a published children’s author and I’m working on a couple of novels. I love all kinds of music, but especially Celtic/New Age. I own more books than I have room for. I’m a full time college student, majoring in English literature with minors in Psychology and History. My favorite colors are black and turquoise. I did karate for 14 years. I taught it for 5. I have the worst attention span ever. I love studying mythology in my spare time. I interned with the Oxygen Network’s social media department and now do independent social media consultant (yes, I have quite a few jobs. 6 total, actually). I love receiving candles and incense as gifts. Where is your favorite place to travel? Down South, particularly to Tennessee. Once I finally get to Ireland, that will probably become my favorite. Favorite brand of coffee or tea? I enjoy Frappes from Starbucks and ice coffee from Dunkin Donuts, but that’s really it in the coffee category. However, I’m a huge tea snob. My favorite tea comes from www.spiceandtea.com. Seriously, try their Coconut Oolong. What pets do you have? I have 2 dogs, a German Shepherd and a Beagle/Daschund mix, and a Ragdoll cat (though I have to admit that I like the dogs more…they’re at least friendly). If you could be anyone for just one day, who would you be? This one’s a super tough question. Kate Middleton maybe? Her job seems pretty cool. And she has people who clean her room for her. What are your hobbies? Pretty much any craft I can get my hands on…crocheting, jewelry making, painting, etc. Anything mind numbing. What’s the craziest thing you’ve done? Put wasabi on my sushi (sorry to disappoint, but I’m that nerd that stays home and reads books). Last day on earth, what would you do? Considering the state of mind I’m in today, probably just sit on a beach with a pina colada. Ask me this again tomorrow and you might get a different answer. Favorite beauty product and why? Peach scented Bath Junkie scrub. It smells amazing and it leaves my skin feeling soft. The fact that you customize your own scent is an added bonus. Is there anything you are known for by family and friends? Being an encyclopedia of useless knowledge. Did you know you can regrow lettuce? Funniest thing you’ve seen lately? A guy walking into my office wearing a silver, satin pajama suit. He was quite proud of the fact that he got away with wearing it to his business forum class. What’s your favorite movie? The Nightmare Before Christmas. What famous person would you want to have lunch with? What new hobby, if any, would you want to take up? Which book or movie left the biggest impression on you? Do you speak any other languages? If not, which ones would you like to learn? If you had access to a time machine, what era would you travel to and why? What’s something you want to accomplish in the next 10 years? Again, thanks for the nomination! It’s been one year since I started this blog, and it’s been a crazy year at that. I’ve grown so much in so many different ways since April 2012, and not without the help of my readers. You guys have been with me through my good days and my bad days, for my comedic moments and some not-so-pleasant breakdowns, and many of you have offered me amazing advice and encouragement along the way. So, thank you. Now let’s see what another year brings.